Young kids are developing quickly, especially in the first few years of their lives. As such, this is the best time to help them build up essential life skills. Of those skills, listening is one of the most important, and sometimes overlooked. Many parents will complain that their kids don’t listen, but you can work on this by having them play fun games! Perfecting their listening skills now will equip them for later challenges. They will learn to take instruction, to value other people’s input and to succeed because they understood what was being asked of them. In this article, you’ll find six fun games that your kids will love, while helping them to improve their listening skills. These games require few to no materials and are most effective when played in a large group. A classic game that has been played for generations, and for good reason! This game is fun but also helps kids to hone their listening skills. In case you need a refresher: one person calls out instructions that the rest of the players must perform. Instructions usually include actions such as ‘put your hand on your head’ or ‘hop on one leg’. However, they only do the actions if the speaker says ‘Simon says’ before giving the instruction. When the players do the action without hearing ‘Simon says’, they’re disqualified. By having them listen out for, not only an instruction, but also a specific phrase, kids will learn to really hear what someone is saying to them. This one is best played with a group of people. For it to be most effective you will need at least 6 people, so this could be a good game to play in a classroom or at a party. 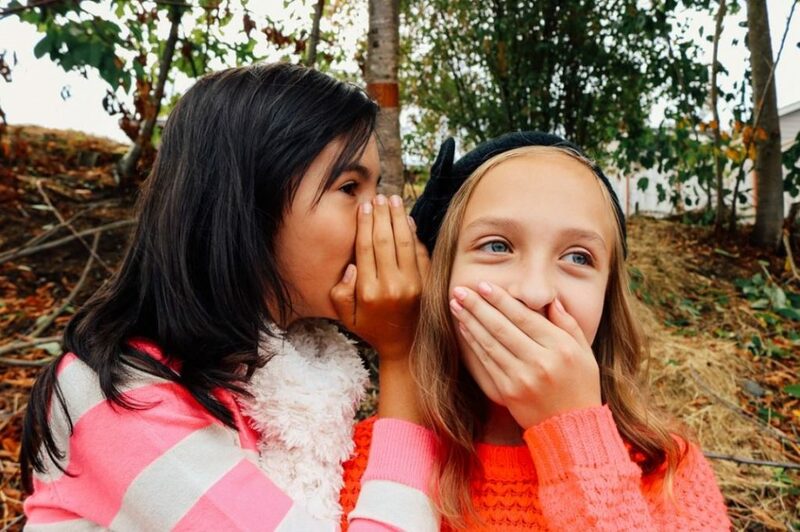 One person begins by whispering a sentence to the next person. They then have to whisper it to their neighbour and so on until the last person announces the sentence out loud. The first person should write down their sentence so that they can show the players what they actually said. It can be fun to alternate who comes up with the first sentence and who is the last person that must say it out loud. You can also give the game a theme, for example if they’ve been learning about a certain subject, have them say what they know about it. A great game to play at a party or in the classroom, this game is much more fun when there is a large number of players. Everyone starts by sitting in a chair and then music plays. They must walk (or dance!) around the chairs while one is removed. Then when the music stops, everyone must sit in a chair. The person who is still standing is out. It might seem like a game of chance but kids will learn to hone their listening skills as they learn to immediately make the connection between hearing the music stop and taking action. In this activity, kids learn to listen to other people’s ideas and to be creative with a group. No one is telling them what to do, but they must base their contribution on the last person’s idea. One person starts a story by saying one or two sentences and then everyone takes turn to continue the story from the last person’s idea. The point is not to say whatever you want, but to build on the previous comments to make a coherent story. Based on actual traffic lights, in this game red means stop and green means go. It’s more fun if you add other colours and assign them different actions, so yellow could be walk like a crab and blue could be jumping jacks. The idea is to have your kids race to the end with you calling out the traffic lights. Set them off with a green light and stop them with red. Even more challenging is to call out words that rhyme with the colors you’re using, such as ‘screen light’ or ‘head light’. If they don’t listen then they should return to the start. This will teach them the importance of listening carefully to what they’re being told, as not doing so can have negative consequences. So simple, yet so effective! In this game, you go outdoors and have your little one identify all of the sounds that they hear. You could go into a forest, a park, near to an industrial site or a train station. Anywhere that has a variety of noises is ideal. Without helping, ask your little one what they can hear. This encourages active listening; in this activity, they’re not listening for a specific sound or instruction. They learn to really be aware of their surroundings.